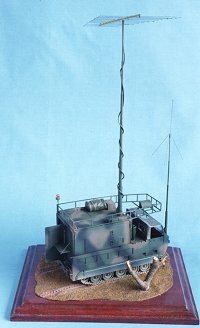 The AN/MLQ-34 "TACJAM" was a tactical radio jamming system, formerly used in the Military Intelligence battalions of some of the "heavier" divisions of the U. S. Army, such as the 2nd Infantry Division in Korea, where I served for 2½ years. Much of my time in Korea was spent on, in, under, and with the TACJAM. The TACJAM has, to the best of my knowledge, been replaced in frontline service. It's a big sucker. The carrier vehicle is the M1015, an upgraded version of the venerable M548. Mounted in/on the cargo bed is a large generator to power the electrical equipment shelter in which the crew operates. 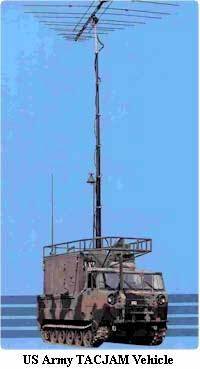 Add a huge dang telescoping-mast-mounted Logarithmic Periodic Antenna, and you have some serious radio power. 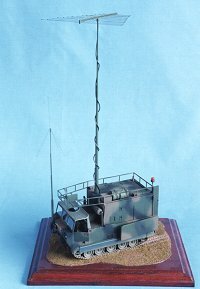 Model photos lifted from Armoured Engineer. 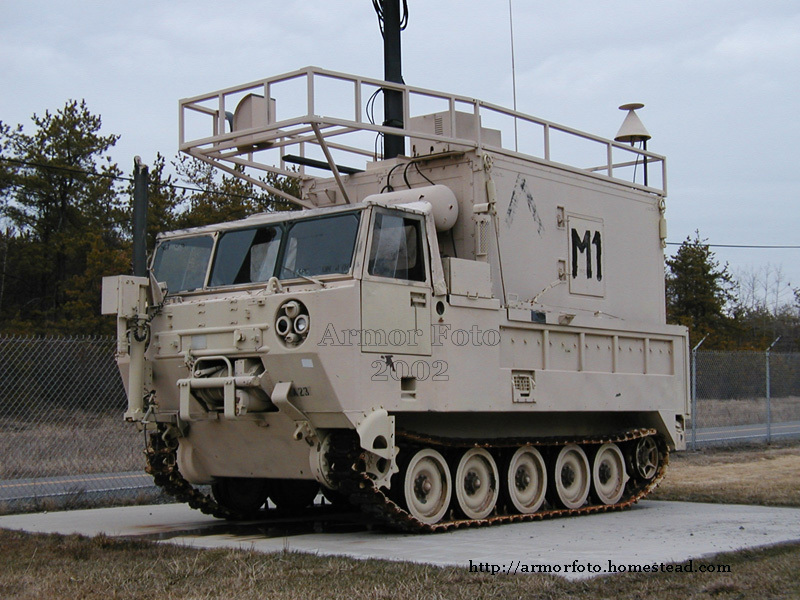 AN/MLQ-34 on display at (I believe) Tobyhanna Army Depot.